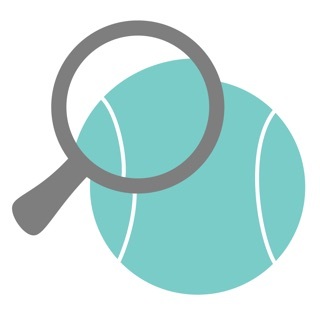 MatchTrack is an advanced tennis score keeper and charting app. It is the easiest to use tennis tracking app available for iOS and doesn’t require an account or any personal information at all! Have you ever wondered why a match is going a certain way? With MatchTrack that information is at your finger tips as the match is happening. It's an easy-to-use app with no confusing menus or match setup. Quickly score points by indicating whether it was a first or second serve then hit the game score of the player that won the point. If you're using Detailed Scoring you'll also be asked how the point was won, that's it! Shot Stats takes the tracking to a new level, letting you see how many winners and errors were hit with a variety of shot types like backhand, forehand, volleys and overheads. Whether you're scoring your child’s match or watching the pros, MatchTrack keeps you updated on how the match is going. Match stats are updated in real time and are available right on the scoring screen on your iPhone, no need to click around to find what you’re looking for. - Two scoring modes: Simple and Detailed. Simple scoring tracks just who won the point and what serve it was while Detailed includes how the point was won. - Stats including serve percentages, return and serve points won, and break points saved or won while using Simple Scoring. - Detailed Scoring keeps track of your aces, winners, double faults, and forced and unforced errors. 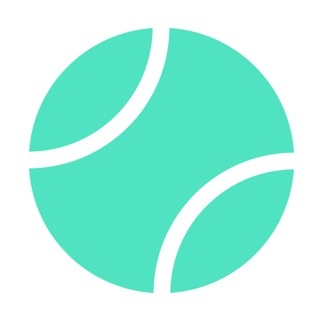 - Shot Stats takes it to the next level, letting you see the number of forehands, backhands, volleys, drop shots, and overheads hit for winners or as errors. - Supports a variety of match lengths and rules including options for pro set matches, ad-scoring, final set tie breaks and super tie breaks. - MatchTrack will never ask you to set up an account or require an email address or any personal information. MatchTrack is proud to introduce Player Profiles! You can now add players and quickly see all of their matches and win-loss records. Add player info like name, hitting arm, forehand and backhand grips, and NTRP and UTR ratings. You can quickly add past matches to a player's profile by editing the match and selecting an existing player or creating a new one. Please provide any feedback and what else you would like to see made available through the profiles! Also, you can add past matches to a players profile so you don't lose any history. To do so, edit the match and then select the players from the name fields on the edit screen. That match will then be associated with the selected players. And this update has even more goodies! - You can now customize set lengths, anywhere from 2 to 10 games. - The options screen has been tweaked to, hopefully, make it clearer what options you're choosing for the match and what all is available. - On the edit screen you can now change a match's date as well as the scoring style. And there's a few other bugs and visual tweaks. Thank you so much for your support of MatchTrack! Easy to use and provides really useful data for improving one’s game. However, one flaw is in keeping stats for doubles. I think right now the stats you select are saved for both players as a team. It would be much better if EACH player had individual stat reports; like if you could chose which player specifically made that winner/error, and then have separate player stats. This way each player can see what they did well or need work on. Thanks so much for the review! Yes, you’re right, right now the doubles scoring is done in aggregate for a team. I have plans to fix that and an upcoming update does some backend stuff to help get there but the individual stats will not be in it. It is currently planned for the update after that though. Thanks for the feedback and for using MatchTrack! I have tried about 5 apps and this is the best. With the coming fix for doubles stats and a way to add notes after a match it will be pretty perfect Some others take way too much time to add a point. Good job!! !